CloudForms and ManageIQ make it easy to customize the User Interface to add additional capabilities not provided out of the box. For the end user, these Custom Buttons are integrated into the User Interface and are not distinguishable from out of the box features. 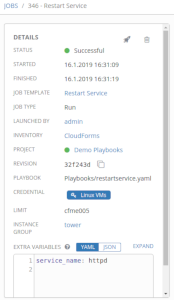 Ansible Playbooks can either used directly with the embedded Ansible feature or an external Ansible Tower Server can be configured as a provider and Job Templates configured there, can be executed. 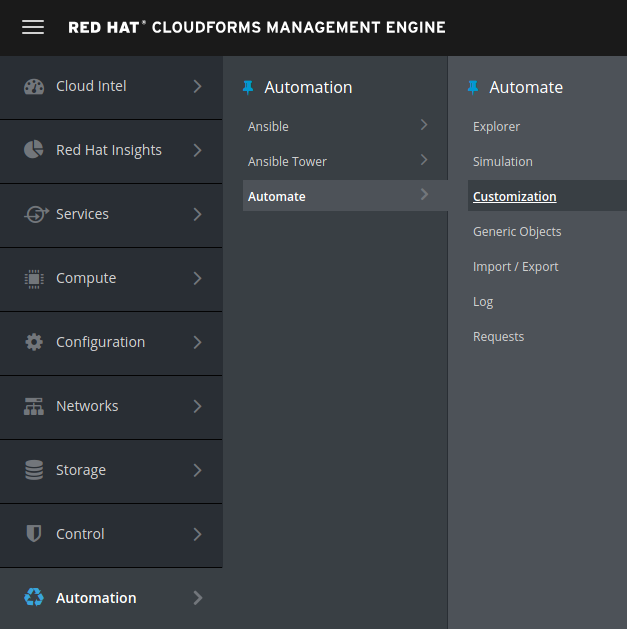 A recent Mini Series on Ansible Buttons in CloudForms 4.6 gives some details on how to use the embedded Ansible capabilities. 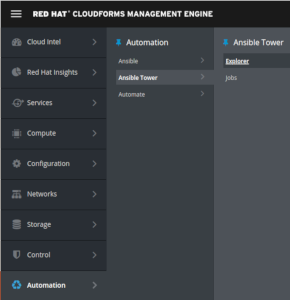 This blog post will focus on how to use an existing Ansible Tower and its Job Templates from a Button. An Ansible Tower has to be setup and installed first. At least one Job Template is required which can be executed from a Button. 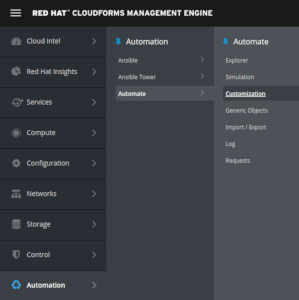 Instructions on how to add an Ansible Tower Provider into CloudForms can be found in the Red Hat Product Documentation. Most Job Templates require user input and ask for values of extra variables. These forms are called “Service Dialogs” in CloudForms and can automatically be generated after adding an Ansible Tower Provider. The resulting Service Dialog can be verified by navigating to Automation -> Automate -> Customization and then clicking on Service Dialogs in the accordion on the left. The Service Dialog can be edited to make it more user friendly. NOTE: Do not remove or change the automatically added “limit” element. If the Service Dialog is only used with Custom Buttons, it’s save to “hide” the element though. If the element is removed or renamed, the Limit parameter will not be sent via the REST API to Ansible Tower and the Playbook will run on the entire inventory. To be able to add a custom Button to the User Interface, at least one Button Group has to be created first. The Button Group and Buttons can be assigned to many objects. These instructions will describe how to assign it to a Virtual Machine. Enter at Text and a Hover Text. The Hover Text will be shown when the user moves the mouse pointer over the icon. Choose and Icon and optionally change its color. Last but not least create a Custom Button and assign it to the Button Group. Provide a Text and a Hover Text. The Hover Text will be shown when the user moves the mouse pointer over the icon. To make sure everything worked as expected, verify the results. Note: The Button Groups “Tools” and “CMDB” shown in this screenshot are customizations as well and not out of the box. After a short delay of a few seconds, you should see the Job being executed on Ansible Tower. NOTE: The extra variable was populated as entered into the Service Dialog when executing the Button. The Limit parameter was also automatically set to the selected Virtual Machine. All Screenshots have been taken from CloudForms 4.6, which is the latest release at the time of writing. Nevertheless everything should work the same way with ManageIQ, only the UI theme looks slightly different.